Created in 2014, The Chalet Sessions aims to support aspiring musicians by helping them reach a wider audience, and help listeners discover the very best of our local music at the same time. The project places a particular focus on the Swiss experience by inviting artists from all corners of Switzerland, as well as international artists passing through the area, for an opportunity to perform within a traditional backdrop that includes typical Swiss chalets and unforgettable regional landscapes. The Chalet Sessions offers participating musicians professional-grade audio recording accompanied by a high-quality video of a short live performance within this unique setting. The sessions are intended to showcase each artist in a relaxed and honest context. Our team is comprised of videographers, audio engineers, photographers, and a handful of volunteers working together to make every session’s release possible. The Chalet Sessions team is run by Jeremy Moser, Soraia Binzagr, Ewan Hails, and Rejane Chassot, who often plan our sessions while sipping on a foamy beverage in a café at the heart Lausanne. 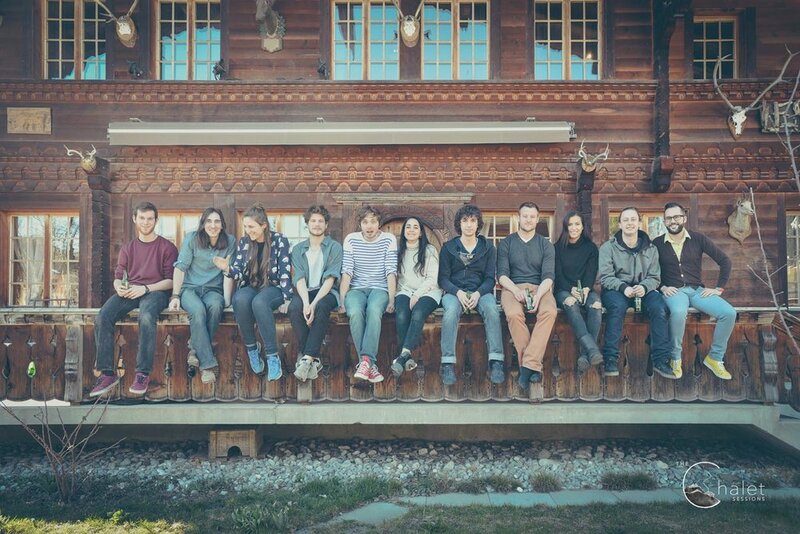 Are you a musician who wants to come perform at The Chalet Sessions? Just pop us a message and we'll get back to you with the details you need to get signed up! Got a chalet you want to get featured in one of our upcoming videos? Drop us a line! Love our project and want all the news, updates and more? Subscribe and follow us online! Set up a monthly donation! Help The Chalet Sessions grow with a small monthly contribution and get some awesome goodies in return for your support!! Oh, so you don't like perks? No worries, we get it..
We're into one time things too! Prefer to pay with PayPal? We got you!